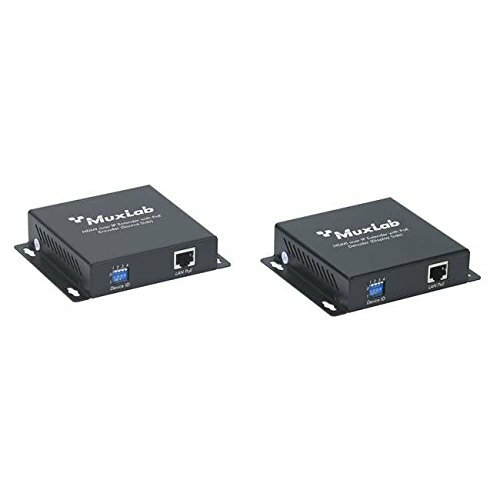 The HDMI over IP Extender allows an HDMI source to be connected via any Ethernet LAN thereby allowing AV broadcasts to be set up and changed without the need to install a dedicated cabling system. The kit includes two units; HDMI over IP Encoder (500752-TX) and HDMI over IP Decoder (500752-RX). The HDMI Encoder converts an HDMI bitstream into IP allowing it to be transmitted over an Ethernet LAN. The HDMI Decoder converts the IP packets back to the original HDMI bitstream for playback via an HDMI display.